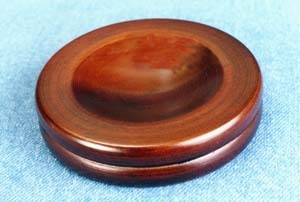 Small Wood Caster Cups is rated 4.50 out of 5 based on 1 ratings. Protect your floors and carpets from pianos or other heavy furniture. Don't do it yourself, we advise your piano technician's advice / or piano movers! Outside Diameter = 3 and 5/8"